By far the fastest way to install a new operating system is from a USB memory stick. In this post I’m going to show you the easiest way of making an Ubuntu bootable USB stick. 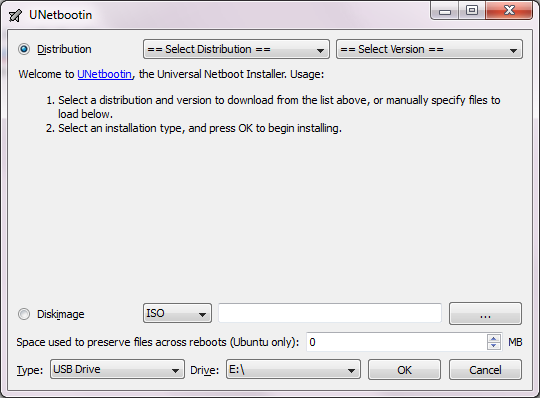 For this we’ll use UNetbootin, a small portable program that turns your USB stick into a bootable drive – the alternative of a CD for example, from which you can install an operating system. Insert your USB memory stick into an empty port and make sure to backup any files that you need from it as we’ll be formatting the drive later. This isn’t mandatory, but I like to format the drives I’m working with as it makes things much neater if you don’t mix personal files with the Linux distribution that you’re installing. 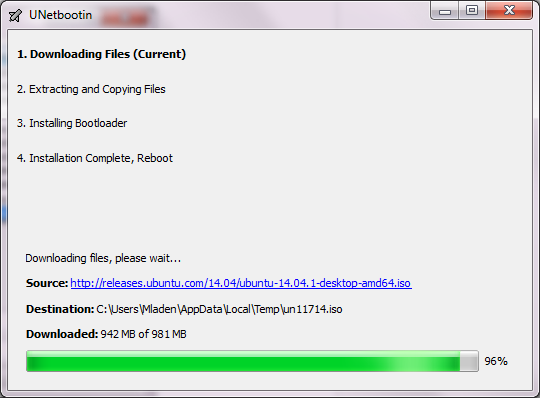 Navigate to UNetbootin’s SourceForge page and download the latest version of the program. Once it’s downloaded you can run it straight away as it doesn’t require an installation. For this tutorial we’ll pick Ubuntu. By default the program will select the most recent Live version of the distribution, but since I have a 64-bit processor, I’ll go for the x64 version. At this stage you just have to press OK and let UNetbootin do its thing. It will download the correct ISO, unpack the files and make your flash drive bootable. Now the only thing you need to do is boot from the memory stick and you’ll be able to run Ubuntu Live. Check your BIOS settings to make sure USB boot is enabled. During restart most systems will allow you to select a boot device by pressing a key like Esc, Del or F12 – check Google or your manufacturer’s website for more information.